Hey now, it’s okay. The ordeal’s over. That four foot tall full tower PC case brimming with LEDs and whirring fans can’t hurt you anymore. You’re in a safe place now – one in which you can begin to let PC hardware back into your life and learn to trust again. Open your palms and let this little guy in – the GPD WIN Intel Z8550 handheld device. It’s a Windows 10-based gaming machine small enough to fit in your pocket. And then sit on, and curse yourself for sitting on. Already way ahead of this emerging ‘mobile’ gaming thing? You’ll like our best Hearthstone decksguide, we bet. The dinky device has actually drummed up a lot of support (read: funds) on Kickstarter, where it’s generated 331% of its $100,000 flexible funding target. That’s just over $330,000, then, according to my calculations. 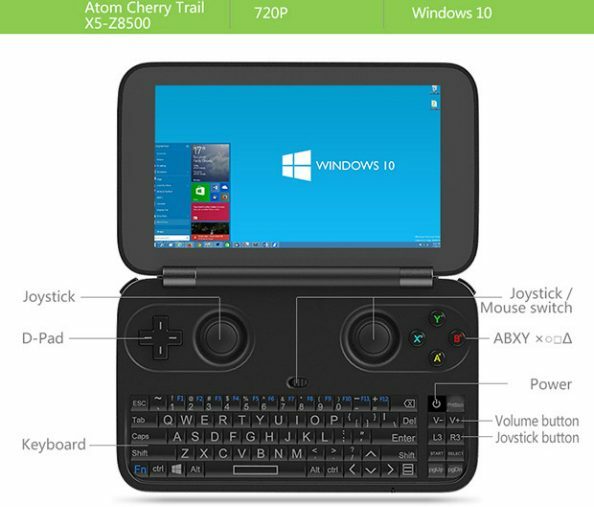 The 5.5-inch GPD Win features a 720 display, an Intel Atom X5-Z8500 notebook CPU at 1.22GHz, a mini-HDMI out for TV connectivity, and a built-in controller layout above its endearing little keyboard. Aww, look at its tiny keys! The GPD Win is available for $299 over on its Kickstarter page, where you can also secure ten for $2890 if perhaps you have an offspring count into double figures who demand PC hardware in tiny form factors. It’s the latest in a sustained attempt from certain enterprising corners of the tech market to create a PC-based handheld platform, and while initial interest has generally been high for such projects, they’ve tended to fizzle out before coming to market. With a large budget and an October 2016 estimated shipping date though, perhaps this will be the one that breaks the duck. I’m not sure I see the appeal in gaming on a 5.5-inch 720p screen though, speaking personally. The Windows 10 screenshot in the image above appears rendered at a scale that’d be very hard to use. Similarly, PC games’ UIs are designed with much larger monitors in mind, so I’m not sure it’d be terribly comfortable to try to play XCOM 2 or Ashes of the Singularity on it. Still, the beauty of PC gaming is that there’s room for all sorts of oddities under one banner, and a variety of niches catered for. 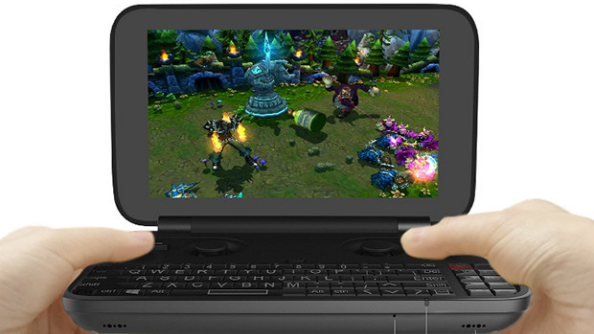 Best of luck to you, GPD Win.